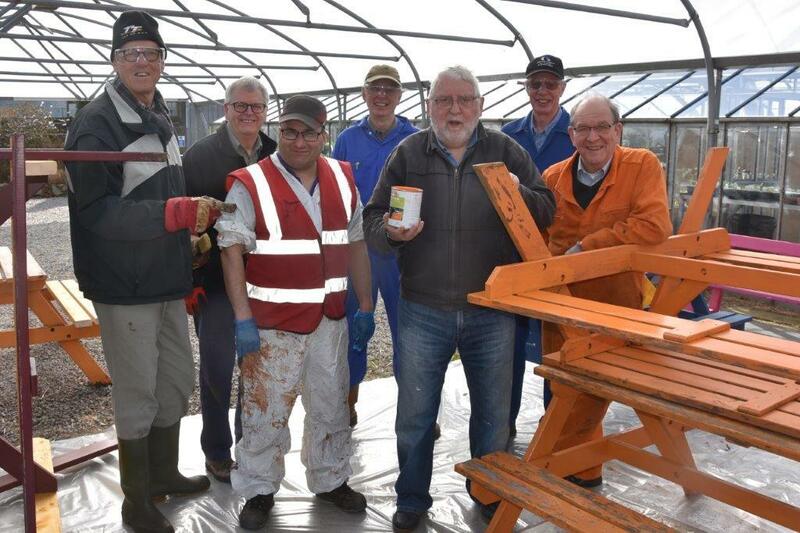 Rotarians had great fun at two volunteer days in March and April, painting benches and tables and the goat shed, and joining with trainees to plant up to 2,000 flower seedlings. 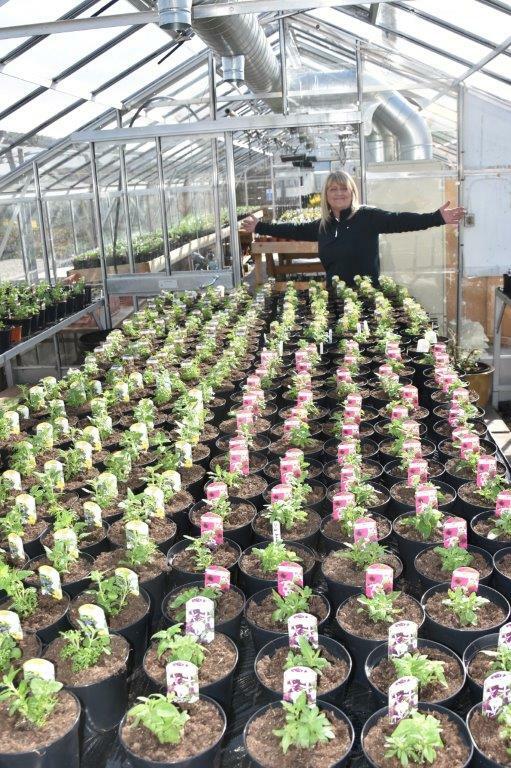 The success of teamwork was evident in the vast array of plants later proudly displayed in the greenhouse. 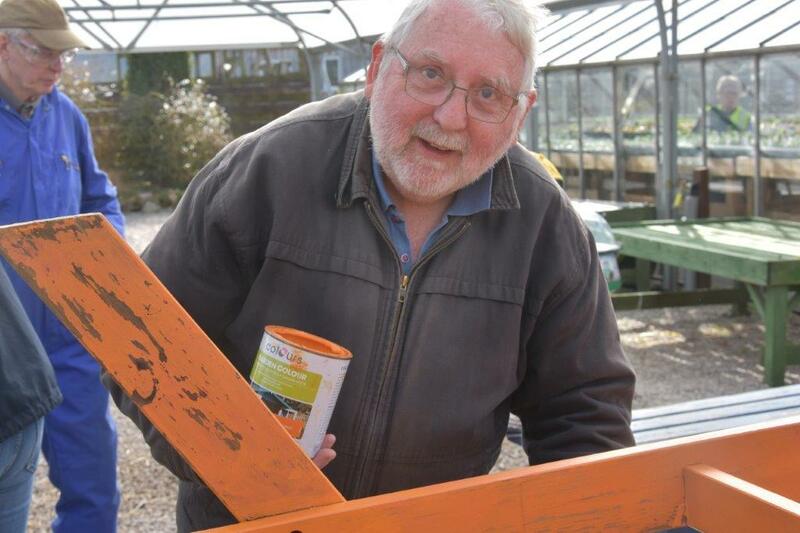 The next time you visit and sit on a brightly coloured bench seat, eating at a brightly coloured table it might be one painted by the happy band from Aberdeen Deeside Rotary Club ably assisted by the trainees. 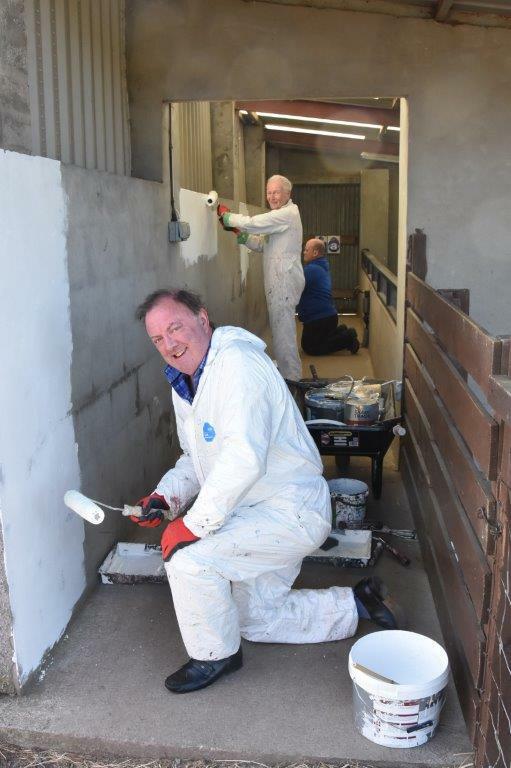 The men in the white coveralls drew the short straw when they were allocated the task of paining the pig house but nevertheless kept their sense of humour and enjoyed the company of two very large pigs who were having lunch at the time. When they stood later for a group photograph, being washed by gales of children’s laughter from the play area adjacent to the well stocked café restaurant, everyone agreed they had had a very enjoyable visit. 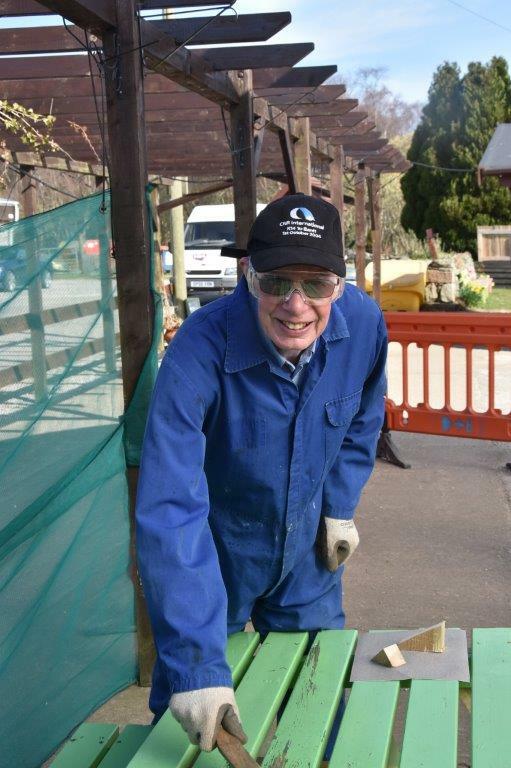 Deeside Rotary Club are planning to have a further visits to carry out similar tasks. If on reflection you think you might be in inclined to helping out and you have the time, why not contact Project Convenor Quentin at qtweedie@hotmail.com or President@Deeside.rotary1010, who will be delighted to hear from you. Easter Anguston is a VSA project which aims to provide meaningful and individualised training placements for adults with learning difficulties. Trainees are supported by a skilled and experienced staff team to learn and to develop their knowledge and understanding of working in an agricultural setting. Strong emphasis is placed on developing personal, social, vocational, and land-based skills. Trainees work towards developing their knowledge in various areas including horticulture, livestock, arable farming, rural skills, catering, conservation and readiness for employment. Each trainee has a person-centred, outcome-focused training support plan which is collaboratively written and reviewed with a dedicated key worker.